COMMENT: Just a little over a month ago Australian football supporters were desperately clamouring for the announcement of a new Socceroos head coach, hoping for some sort of relief after the stresses of Australia's marathon qualification campaign and Ange Postecoglou's subsequent resignation. Fast forward to today and we've seen not just one Socceroos coaching announcements, but two. It's a case of what's old is new again, as Graham Arnold was confirmed as the man who will lead the Socceroos following the conclusion of the upcoming World Cup in Russia. He will continue to coach his hugely successful Sydney FC side until the end of the current A-League campaign, after which he will take over from Bert Van Marwijk and assume control of the top job in Australian football for a second time in his career. The announcement saw a wide range of varying reactions from football fans, with comments on Facebook and Twitter criticising the appointment, citing Arnold's past failures as Australian coach and his Sydney side's recent poor performances in Asia. It is true that Sydney FC's Asian Champions League performances over the last month have been sub-standard, but it is not the last month that Arnold should be judged on when deciding whether he is cut out for the Socceroos job. This is an appointment that has been earned not throughout the last few weeks, but throughout the last ten years of hard work, sacrifice, and positive influence on the game in Australia. Arnold's influence on domestic football in the last decade cannot be understated, and his influence on the national side in that last decade has been immense and wholly positive. The Socceroos have been benefitting off Arnold's work in football for years now, so why not give him a chance to reap some of what he has sowed. In 2007, over a decade ago, an inexperienced Arnold saw his underwhelming one year run as manager of the Australian national team come to an end. The decision came following an incredibly disappointing Asian Cup performance, in which Australia could only manage one win in four games, and were eliminated by Japan in their first knockout game. After a few more years working as an assistant for the national side, Arnold once again tried his hand at managing a senior team, as he was appointed as manager of the Central Coast Mariners in early 2010. 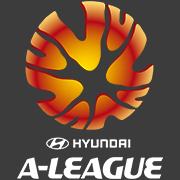 The Central Coast Mariners of the time were a largely uninspired side, having finished in 8th position in their previous season, only one point clear of bottom place. Graham Arnold stepped in and their rise up the table was swift and sudden. In just his first season at the Mariners, Arnold had raised the club up to 2nd place on the table, and took the club to the Grand Final of that year. While they were cruelly denied their first A-League Championship by two late Brisbane Roar goals and a penalty shootout loss, it wouldn't be long before the club, and Arnold, got their own back. After another devastating penalty shootout loss in the Preliminary Final of the following season, the Mariners finally went on to win their first Grand Final in the 2012/2013 season, cementing their spot as a top side in Australia, and cementing Graham Arnold's reputation as one of the most formidable coaches the domestic league had ever seen. While his early domestic success was apparent to the eye, what was a little less obvious was the quiet work he was doing in building the next generation of Socceroos. The ones that would lead us to World Cup qualification nearly a decade on. No matter where you look on a Socceroos pitch these days, you are almost guaranteed to find a player who got their start, or had their career immensely helped by Arnold. One of these players is Tom Rogic. Rogic was full of potential and had raw ability. Anyone watching him play during his early Mariners days could see he was destined for a career abroad, and it is down to Arnold that he was given a platform to shine. Rogic only played 24 games for Central Coast. That was all it took until Europe came knocking. Celtic ended up winning his signature, and Rogic has plied his trade for the Scottish powerhouse ever since. The 24 games he played are testament to how quickly and effectively Arnold was able to integrate youth into his team. He made his debut for the national team while with Central Coast, and has now played more games for Australia than he did for the Mariners. Had Arnold not signed him and given him an opportunity to showcase his raw talent to the world, he may not be in the position he is today . Rogic is one of Australia's most important creative players, and will be immensely important to Australia's World Cup aspirations. Another of these young players the new Socceroos gaffer uncovered was Trent Sainsbury, who at the time of Arnold's appointment was a teenager trying to get his foot in the door. It took a while for Sainsbury to break into the side, but by the time the Mariners' Grand Final triumph came around, the still extraordinarily young 21-year-old centre-back had solidified his spot in the team. Along with Dutch veteran Patrick Zwaanswijk, he formed one of the most impressive defensive duos the league has ever seen. From there his career has gone from strength to strength, his debut for the national side coming not too long afterwards. His first major tournament in the green and gold was in the 2015 Asian Cup. This was when Sainsbury truly came into his own, being named in the team of the tournament, taking home the Man of the Match award in the final, and of course receiving a winner's medal. He has since played in the Netherlands and Switzerland, and has even featured once for Inter Milan during a short stint in Italy. The 18-year-old doing his best to impress Arnold at the Mariners has certainly grown a lot in recent years, but that comes as no surprise to anyone who saw his growth under Arnold and his performances at such a young age for his club. The tremendously talented defender will now put the talent he showed so early on in his career on display on the world stage, as he is a certain pick for the squad for the 2018 World Cup. It must also be remembered that in his championship season at Central Coast, the club conceded less than a goal a game. While this is thanks in part to Sainsbury's hard work, the work of another young Australian in goals certainly helped. That future Socceroo between the sticks for the Mariners was Mat Ryan, who is perhaps the most important of all of the players Arnold handed opportunities to. Ryan was 18 years of age when given his chance to play by Arnold, and it was certainly not a safe choice by the Central Coast gaffer to persist with him. Being so young, Ryan had his fair share of bad mistakes and errors in his starting days at the club. Any young goalkeeper thrust into the starting position of a top A-League club would make these errors of course, but to Arnold's credit he persisted with Ryan, and was not tempted to look elsewhere for a more experienced campaigner. Each game Ryan played, his confidence grew, and before long he was undoubtedly first choice. Ryan played three seasons with the Mariners under Arnold, leaving after the Grand Final win in 2013. He was a revelation for the Mariners, and in playing him so often not only was Arnold benefitting his own Central Coast team, but he was also giving vital experience to the man who would go on to wear the gloves for the national team. Ryan went on to star in Belgium, and after a frustrating stint with Valencia in Spain, he finally settled at newly promoted Brighton & Hove Albion in England. It's fair to say that the now 25-year-old would not be undoubtedly first choice at a Premier League club and the number one goalkeeper in two consecutive World Cup campaigns for his country had his former coach not persisted with him when he was just getting his start. Even only recently, Ryan spoke out about how even today he still is helped by Graham Arnold, who got in touch with him to help settle his nerves after his move to the Premier League. The Arnold influence on the two-time Belgian Pro League Goalkeeper of the Year award winner is apparent even today, and Australian football is better off for it. If these three players didn't get their first opportunity in football, the Socceroos would likely be watching the World Cup from home. It is Graham Arnold that is to be thanked for that. In addition to the huge role he played in getting the careers of those three crucial Socceroos up and running, he also further influenced the national squad in his time at the Mariners by giving opportunities to Mustafa Amini and Bernie Ibini while they were both young and extremely raw talents, as well as supporting the careers of Alex Wilkinson and Oliver Bozanic. All of these players have spent the last few years around Socceroos squads. Aspects of Arnold's later stint as manager of Sydney FC have some questioning whether he has the skills to be the national team manager, and there are some valid criticisms that can be made. No players from Sydney FC went to the Under 23 championships at the beginning of the year, which goes to show that there has been much less emphasis on youth for Arnold compared to his tenure at Central Coast Mariners. One change he has made over time is putting more focus on getting his choices on overseas players exactly right, which he has certainly achieved with the success of Ninkovic, Bobo, and Mierzejewski at Sydney FC. While his lack of focus on youth may leave some wanting more, it can't be ignored that despite his methods, Arnold has built the most fearsome and formidable side in Australian football history. Despite what might be perceived as a lack of focus on young Australian players, there is still a handy picking of players who have lined up for Sydney FC in the last few years that have improved tenfold under Arnold, and now find themselves potentially ready for Russia. He has played a huge hand in the career resurgences in Joshua Brillante and Danny Vukovic, the latter especially looking like a completely reborn player under Arnold compared to his previous season at Melbourne Victory. Both will be very much in contention for a spot in Russia. More notably, Alex Gersbach and Matthew Jurman both earned moves overseas after impressing under Arnold, and both will be pushing for a spot in the starting 11 during the World Cup. Even when perceived as not focusing on Australian talent to the same extent as he had previously, he has still shown he is able to help nurture the ability of multiple gifted players, and get them ready for national duty. Although some of his Sydney FC projects may not have stuck around for long, the fact that they are all so close to a spot in the final 23 man squad for the World Cup goes to show that Arnold has got a great eye for talent. That's an outstanding trait for a national team manager to have. There are of course also question marks flying around about his form in the Asian Champions League. In response, it's important to remember that this job has been earned by Arnold over ten years, not three games. While Sydney FC's ACL campaign this season has started off badly, it is worth remembering that in 2016 he finished top of a group with incredibly difficult opponents from Japan, South Korea, and China. Those opponents were Urawa Red Diamonds, Pohang Steelers, and current Chinese Super League champions Guangzhou Evergrande respectively. While they were then knocked out in the Round of 16, it was only due to a last minute away goal. This campaign alone is more than enough to suggest that Arnold is capable of holding his own against tougher opposition. To those who look at his last stint as Australia manager as an indicator of his ability, know that Arnold is not the same man he was after leaving the Socceroos job a decade ago. He has spent that time winning trophies, growing the domestic league, and uncovering some of the greatest talents this country have ever seen. He's an Australian coach with an already established in-depth knowledge of local players. FFA's preference for a long term Australian manager was always clear, and there is no more qualified Australian for this job. To those worried about the effect Arnold will have on the Australian team, try to stress less. The 54-year-old has been having an effect on this team for years, and it has been absolutely positive. While some may argue he's not the right man to take over the Socceroos after their World Cup campaign is over, it is clear that without Graham Arnold, there would not be an Socceroos World Cup campaign to begin with. This is an opportunity he has earned.